NEW DELHI (92 News) – A day after ghazal maestro Ghulam Ali’s concert was cancelled in Mumbai after Shiv Sena’s protests, Bengal chief minister Mamata Banerjee and Delhi tourism minister Kapil Mishra on Thursday invited the vocalist to perform in Kolkata and Delhi, respectively. On being told that the Bengal government wants to make arrangements for his concert, he accepted the invite, saying: “For me, the purpose of music is to offer tranquility and peace. Such cancellation of shows disturbs the peace of mind. But I’m touched by Mamataji’s thoughtfulness.” He said he wants to return to Pakistan on Friday. “But I will keep Mamataji’s invitation in mind and will return to perform in Kolkata,” he promised. The Aam Aadmi Party, too, extended an invitation to Ghulam Ali, asking him to perform in the Capital. 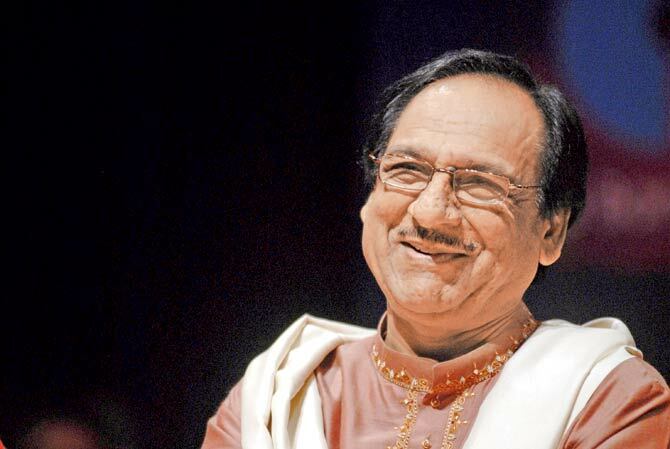 “Sad that Ghulam Ali is not being allowed in Mumbai. I invite him to come to Delhi and do the concert. Music has no boundaries,” tweeted Mishra. “This sort of divisive politics has no role in today’s India. Music and art forms should not be politicized in such a way,” he added. AAP government sources said they would be getting in touch with the singer to extend an invitation to him formally and plan a proper concert. Arvind Kajrewal talked to Ghulam Ali Khan on phone and invited him for a concert and thanked him.